Worthington Country Club in Bonita Springs, FL is a luxurious gated golf community. Set amidst lush landscaping and offering endless opportunities to remain active, this member-owned community delivers residents a high-quality lifestyle. 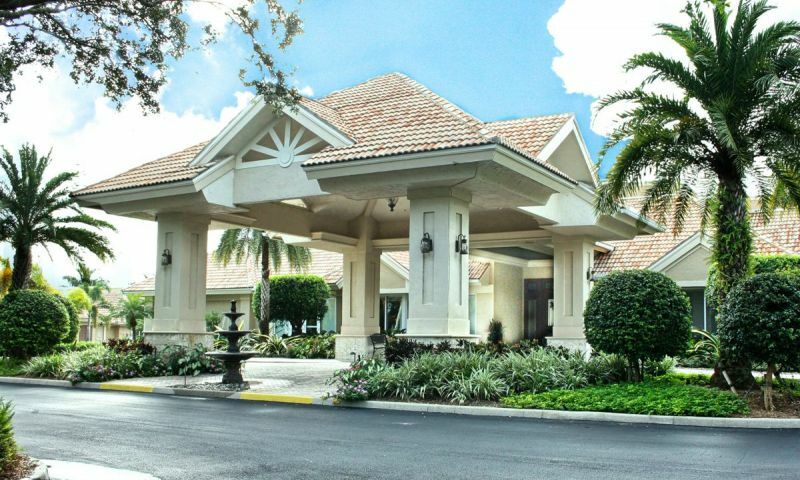 The community of Worthington Country Club in Bonita Springs offers members access to a wide variety of amenities, including a championship golf course that features lessons and special tournaments. An expansive clubhouse offers myriad entertainment and fitness possibilities, including a fitness center, a heated pool and cabana, tennis courts, bocce ball courts and spa services. Housing choices in Worthington Country Club are also varied. All homes were constructed in the early 1990s and offer condos, carriage homes, villas, and estate homes in a wide variety of price ranges. All of the residences are surrounded by mature, lush tropical landscaping. Worthington Country Club is also conveniently located near destinations, such as the Gulf of Mexico beaches, Southwest Florida International Airport, Fort Myers and Naples. Amenities at Worthington Country Club are first class. Members of the community interested in a healthy, active lifestyle have much from which to choose, including a championship 18-hole golf course. The popular well-manicured course appeals to golfers of all skill levels and features seven sets of tees ranging from 4,554 to 6,724 yards. Programs and services offered at the golf club include special tournaments, PGA professional and player development, lessons, dining events, a putting and practice range, golf practice area, cart staging area and a golf shop. Active members of Worthington Country Club can also enjoy six outdoor pools, including a resort-style geo-thermal heated and cooled swimming pool, as well as an outdoor cabana. The community's state-of-the-art fitness center offers a wide variety of opportunities to stay healthy including fitness classes, personal training and spa services. There are also nine tennis courts, two bocce ball courts, a ballroom, hobby and game room and various multi-purpose rooms used for any number of the clubs. Residents of Worthington Country Club can also use the Wi-Fi business center and lending library. Those residents of Worthington Country Club who enjoy the outdoors can use the community's many walking and biking trails to enjoy views of nature, including established trees, lakes and ponds. Built from 1991 to 1994 by Arthur Rutenberg Homes, Worthington Country Club homes feature a wide variety of affordable options, including condos, carriage homes, villas and estate homes. The community consists of nine separate neighborhoods consisting of 520 attached and 279 single-family homes. These homes have been designed for active adults looking for a low-maintenance lifestyle. Some neighborhoods in Worthington offer satellite pools and tennis courts. The community of Worthington Country Club provides residents with a wide variety of activities to enjoy. In addition to golf, tennis and fitness, members participate in card game groups, book clubs, Mah Jongg and arts and crafts. Residents also enjoy dining in the community and have a lot to choose from in this area. Casual dining options include poolside at the Cabana and indoors in the Pub. For more formal dining, there is the Windsor Main Dining Room, and residents can host their own private parties in the intimate Crown Room. The Worthington Country Club community is conveniently located in Bonita Springs, Florida which offers residents the opportunity to shop, dine and worship. The town also features various landmarks and area amenities, such as Bonita Beach Park, the 342-acre Barefoot Beach Preserve Park and the even larger Lover's Key State Park, which spans 1,616 acres. Further away and warranting a day trip are a variety of destinations, including the Gulf beaches, Fort Myers and Naples. Naples features a variety of locations worth visiting, including the Florida Panther National Wildlife Refuge, the Picayune Strand State Forest and the Ten Thousand Islands National Wildlife Refuge. Since 1989, Naples has hosted the annual Naples Half Marathon. There are plenty of activities available in Worthington Country Club. Here is a sample of some of the clubs, activities and classes offered here. Condos are available in the Amberly Court, Cavendish Court, and Worthington Way neighborhoods. These condos provide low-maintenance living with covered carports. Carriage Homes can be found in the Wedgewood Fountain and Wedgewood Sherburne neighborhoods. These two-floor buildings offer single-level living with detached garages. Villas in the community offer low-maintenance living with a little more space than any attached options. Villas can be found in the Villa I and Villa II neighborhoods. Estate homes are the largest of the homes in Worthington. These can be found in the Single Family I and Single Family II neighborhoods. Many of these homes have golf course or water views. I ended up here thanks to a recommendation from a friend. When I was looking for a place here I found that although the community is a little older, from the 90's, the homes have been very well maintained and are just as good as new. I love my condo here and enjoy being close to my old friends and new ones too. 55places.com is not affiliated with the developer(s) or homeowners association of Worthington Country Club. The information you submit is distributed to a 55places.com Partner Agent, who is a licensed real estate agent. The information regarding Worthington Country Club has not been verified or approved by the developer or homeowners association. Please verify all information prior to purchasing. 55places.com is not responsible for any errors regarding the information displayed on this website.